I made Eggplant Parmesan the other day (recipe to come soon) and I had some extra ricotta left over. I decided to make these precious little hotcakes. The eggs are separated and the whites are whipped to airy perfection and then gently folded into the batter. 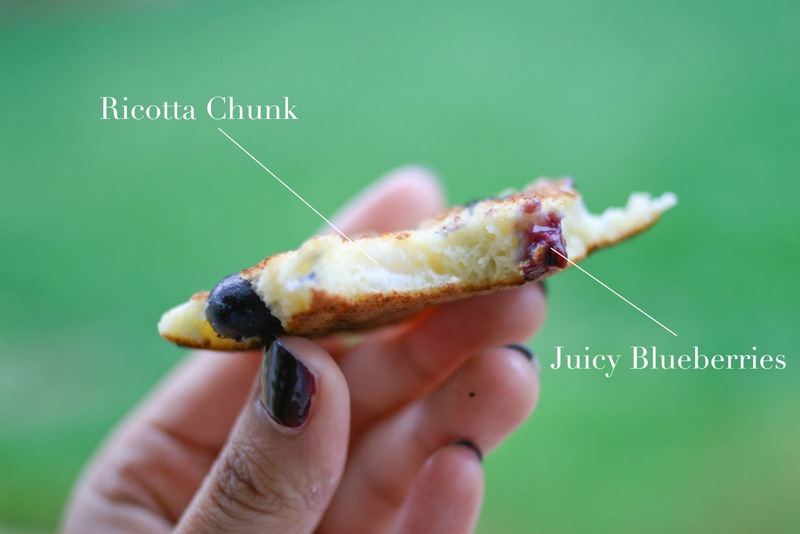 If that isn't enough, ricotta is just barely mixed into the batter, leaving little chunks of ricotta goodness all throughout. Yep, it's true. To top it all off, and to fully re-live my Clinton St. days, I made a maple butter syrup. The saltiness of the butter and the sweetness of the maple was enough to drive me over the edge. 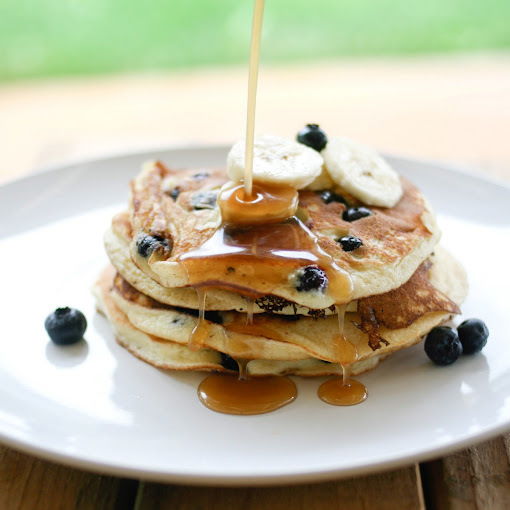 Make these and you'll be looking over the ledge soon yourself! It's not so obvious, but that little white blob is a chunk of ricotta goodness!! Pour the milk into a mixing bowl, then add the egg yolks; mix until combined. Add the flour, baking powder, sugar and salt and mix well. Add the lemon zest and mix. Beat the egg whites until stiff but not dry peaks form. Gently fold throughout the batter, leaving some streaks of white. Lastly, add the ricotta and mix gently (take care not to overmix as you want it to be slightly chunky). Heat a non-stick or cast iron pan over medium heat, then grease lightly with butter or oil. 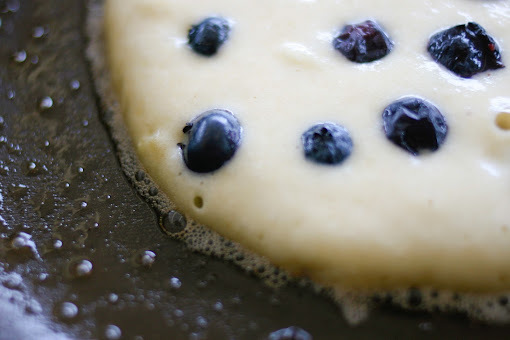 Pour 1/2 cup of the batter (per hotcake) into the pan. If using berries, sprinkle the top of the hotcake with a few berries. Cook on one side until little bubbles appear, about 2 minutes, then flip over and cook on the other side for about 1 minute. 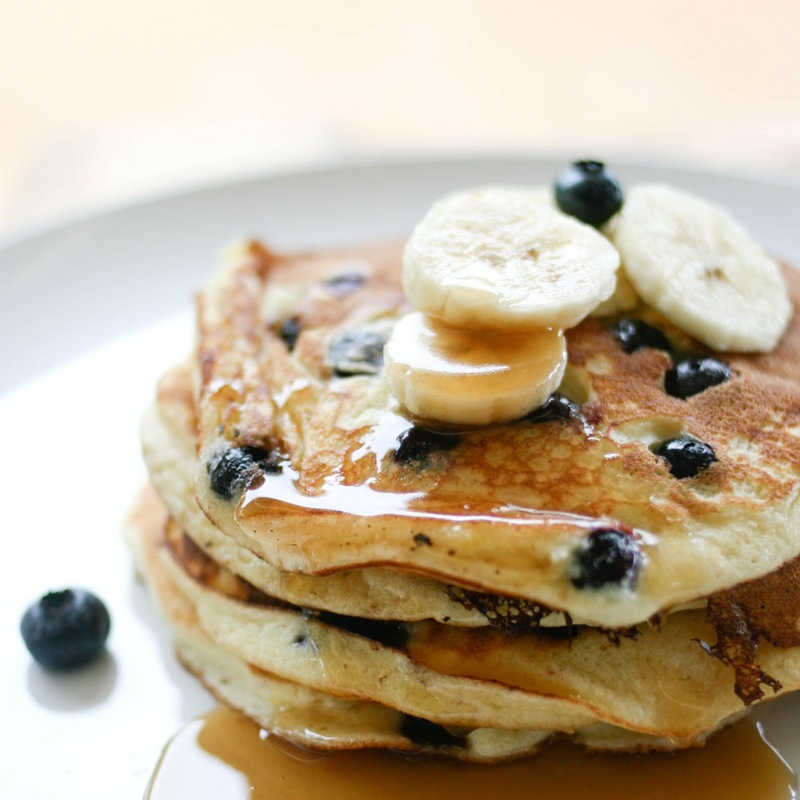 Serve with more fresh berries. To make the syrup, combine the syrup and butter in a small saucepan over medium heat. Heat until the butter is melted and everything is thoroughly combined. Remove from heat and serve alongside the hotcakes. Oh goodness this is definitely flagged for me to make sometime. I'm drooling just looking at them! 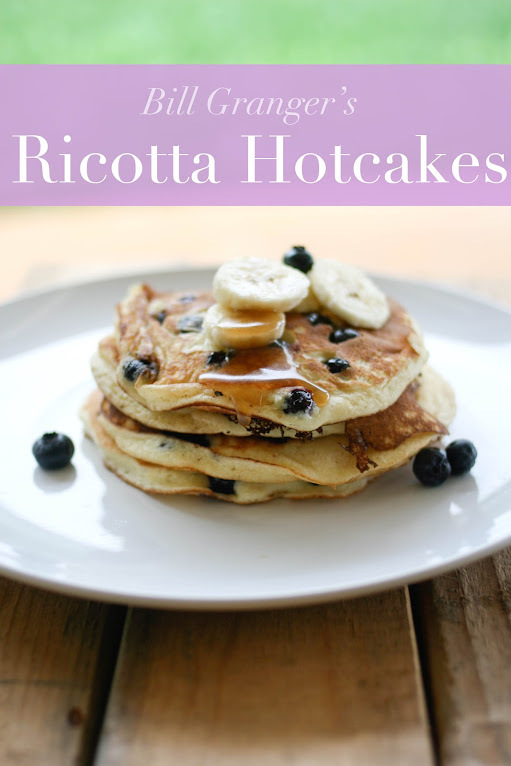 WOW, ricotta in pancakes? Sounds fabulous! Wow the colors are gorgeous! 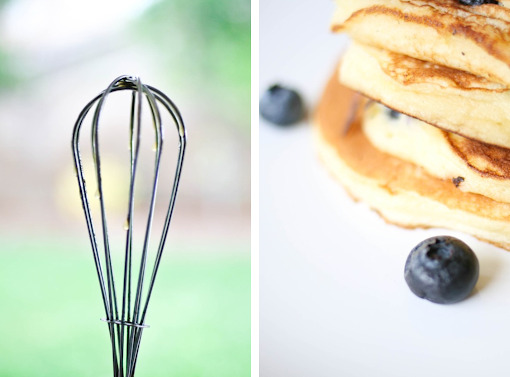 You really brought these pancakes to life. These were majorly delicious. I should make them again XD. 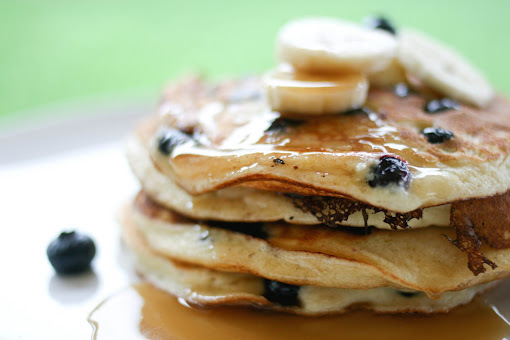 These look absolutely perfect, must make them for Sunday brunch! We had them in Honolulu at your restaurant & can't stop thinking of them. Will recreate them this weekend with ricotta, salty butter, maple syrup n Maui apple bananas.